So – what now? A Fluke has entered the building! And what for? Well, the first mission to accomplish is to connect the Fibaro RGBW controller and the matching RGBW-led list. The goal is to place the led list under a picture rail over our bed in the bedroom. 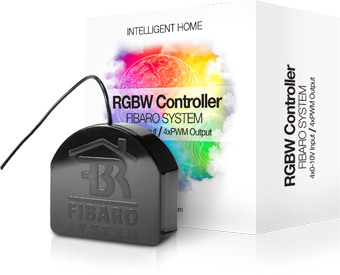 The RGBW from Fibaro is somewhat of a cool product. Not only can it control a RBG(W) led list but it can also be used to handle four sensors, or other configurable scenarios. The Fluke unit will also be used in upcoming projects – an Arduino based sensor network implementation.